Swoop adds $149 flights to Mexico out of Hamilton and $159 flights from B.C. Hamiltonians looking to escape the harsh realities of winter will soon have another option to catch some sun. Ultra low cost airline Swoop is adding routes to Mexico out of Hamilton's John C. Munro International Airport, flying twice weekly to Puerto Vallarta International Airport, and three times weekly service to Cancun International Airport. Flights begin on Jan. 8, 2019, and Jan. 14, 2019, respectively. Swoop will also be flying from Abbotsford, B.C. to Puerto Vallarta starting Jan. 12, 2019, and to Mazatlan, Mexico as of Jan. 20, 2019. "This announcement by Swoop is one that will excite customers in Hamilton and the surrounding regions," said Cathie Puckering, President and CEO, John C. Munro Hamilton International Airport, in a statement. "Puerto Vallarta is a brand-new route for Hamilton International and a very popular destination for Canadians. "Combined with the announcement of Swoop service to Cancun, these will be great options for vacationers looking to escape the cold winter weather when services begin in January." The airline says flights are now available for booking through to April 27, 2019. The WestJet Airlines subsidiary says it is now offering a web only seat sale, with flights costing $159 each way between Hamilton and Puerto Vallarta, and $149 each way between Hamilton and Cancun. Flights from Abbotsford to Puerto Vallarta will cost $159 each way. Abbotsford to Mazatlan will cost $179 each way. Swoop's business model is based on passengers paying ancillary fees for additions such as bags, premium seats, and Wi-Fi that inflate travel costs depending on individual passenger needs. Considering the volatility of the market surrounding low cost carriers, consumers should have a plan B in the back of their minds just in case flights are cancelled, said Marvin Ryder, an assistant professor of marketing with McMaster University's DeGroote School of Business. 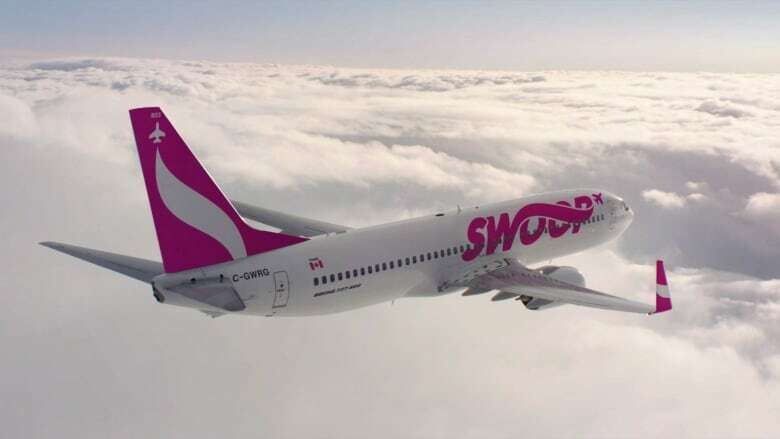 Unlike the country's other ultra low cost options like Canada Jetlines and Flair, Swoop has the added benefit of Westjet standing behind it, Ryder said. "But it's not unusual in the first months of a starting airline to see runs dropped and runs added, because they are, in essence, experiments," he said. "So if you buy in the first year, there is a possibility they will cancel."